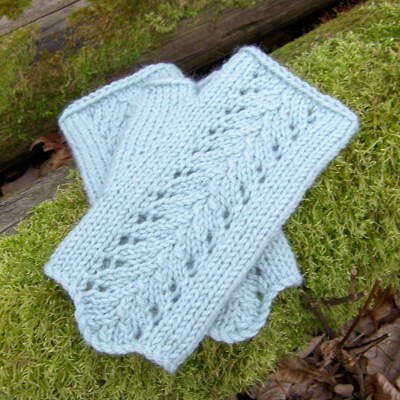 Isabel fingerless gloves feature a delicate lace pattern that looks complicated, but is deceptively simple to execute. 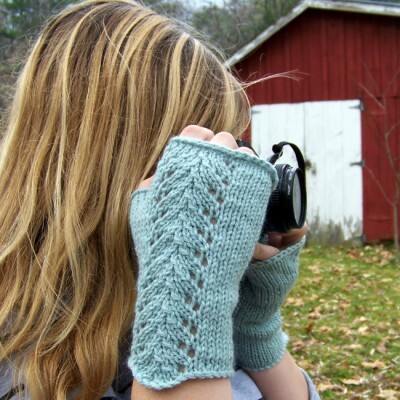 A shaped thumb gusset means that these gloves are made to fit the hand naturally and comfortably. 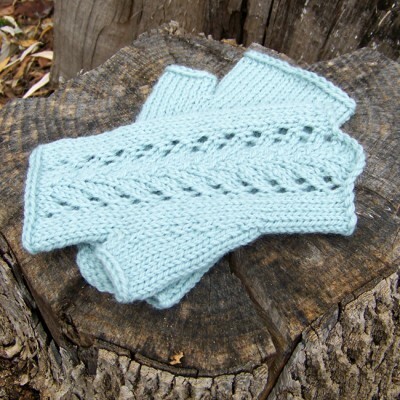 The pattern consists of a chart for the lace portion of the gloves as well as complete written row by row instructions. Knowledge of charts is not needed to work this pattern. 18 stitches/24 rounds to 4” x 4” (10 cm x 10 cm) in stockinette stitch, blocked. 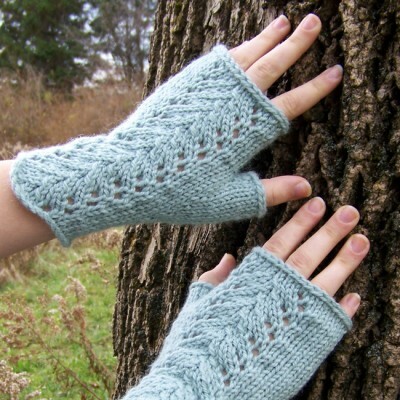 Gloves are knit in the round from the cuff up. A worsted weight yarn with good stitch definition and little to no halo is recommended. Tonals will work, but highly variegated yarn may distract from the lace pattern.